Your wedding day is one of the few days that you dream about your entire life. You want everything to be perfect from the dress, the flowers and the ceremony. But, what happens when you say something wrong? Do you ever wonder how your future spouse will react? 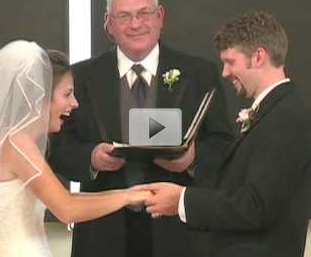 In this video, the groom stumbles through his vows. Take a minute and watch how the bride reacts to his mistake.